Eastern tunnels - Limmo Peninsula to Victoria Dock Portal - Crossrail . For information about the Elizabeth line please visit the Transport for London website. At just under 1 kilometer the twin-bore tunnels between Limmo Peninsula and Victoria Dock Portal are the shortest rail tunnels on the Crossrail project. 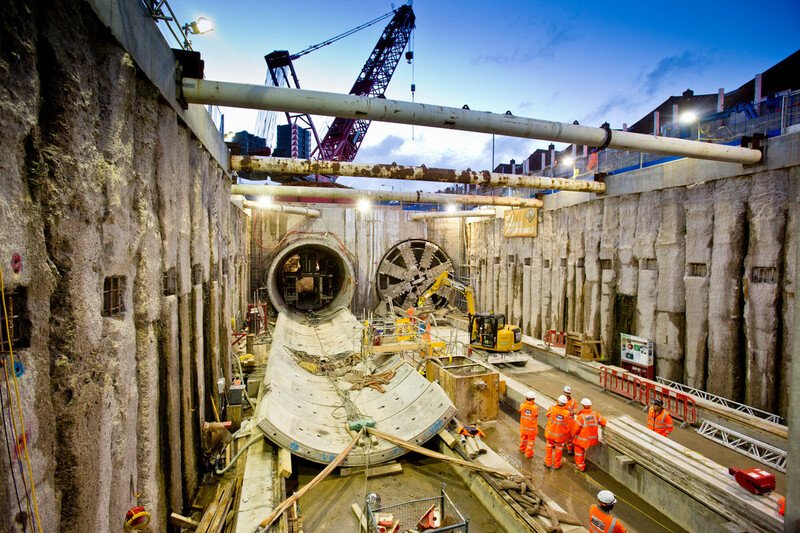 The tunnels begin from a 35m deep access shaft alongside the mouth of the River Lea, and will run to Victoria Dock Portal, where the Crossrail tracks reach the surface at Custom House station. The tunnels were constructed by tunnel boring machines Jessica and Ellie. Having successfully completed their maiden Crossrail tunnel drives between Pudding Mill Lane and Stepney Green, Jessica and Ellie were dismantled, lifted out of the shafts and transported by road from Stepney Green to their next launch point at the Eastern Tunnel’s Limmo Peninsula site in Canning Town. Despite being the shortest they were also some of the most complex drives to construct. Jessica and Ellie navigated the Docklands Light Railway, Jubilee line and utilities, all in close proximity to the River Thames and River Lea, before undertaking one of the steepest climbs in the entire tunnelled section of the route as they edged closer towards the finishing line at Victoria Dock Portal. Tunnel boring machine Jessica, named after Olympic champion Jessica Ennis-Hill CBE, completed her 900 metre journey in August 2014 - just 9 weeks after her re-launch, travelling as far as 41 metres per day. 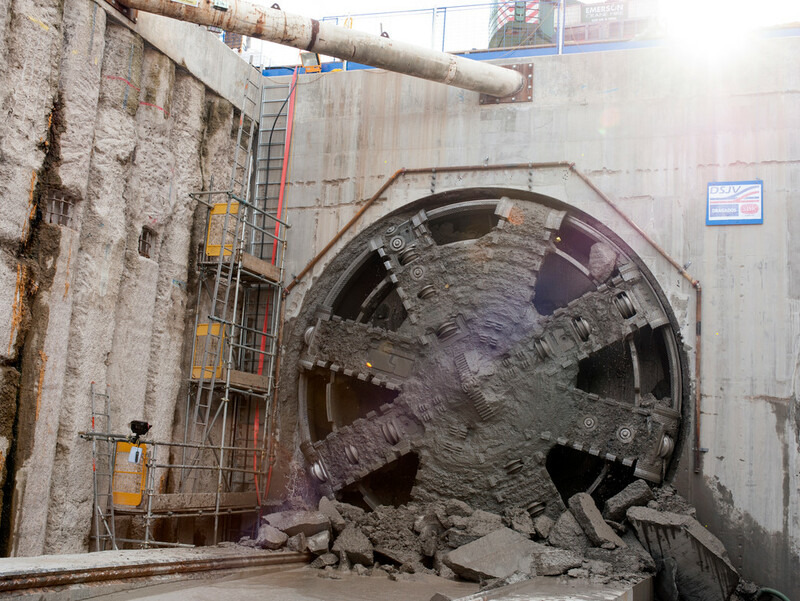 Sister tunnelling machine Ellie, named after four time Paralympic champion Ellie Simmonds OBE, broke through to Victoria Dock Portal in October 2014, completing her 900m journey in just six weeks, travelling as far as 46 metres per day. Both machines were dismantled and returned to manufacturer Herrenknecht, with the parts recycled for use on future tunnelling projects.